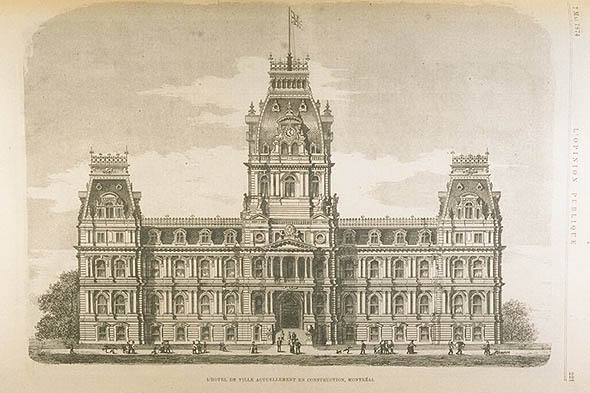 The five storey Montreal City Hall is the work of architects Henri-Maurice Perrault and Alexander Cowper Hutchison, built between 1872 and 1878. Its architecture is in the Second Empire style, also known as Napoléon III-style. It unfortunately caught fire in 1922, and was restored by taking as a model the Hotel de Ville of the French city of Tours. The site of President General de Gaulle’s famous liberation pronouncement in 1967 – “Long live free Quebec.”, a sentiment that was not welcomed by his Canadian hosts but which was embraced by the Quebec people.